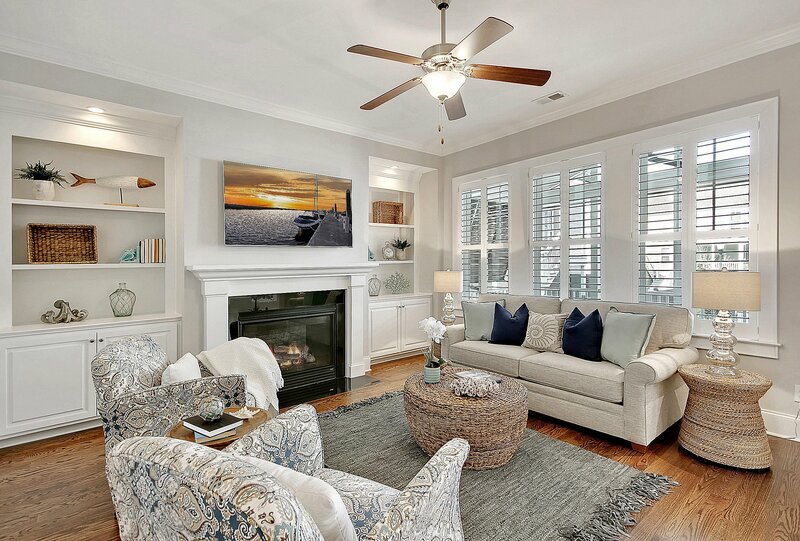 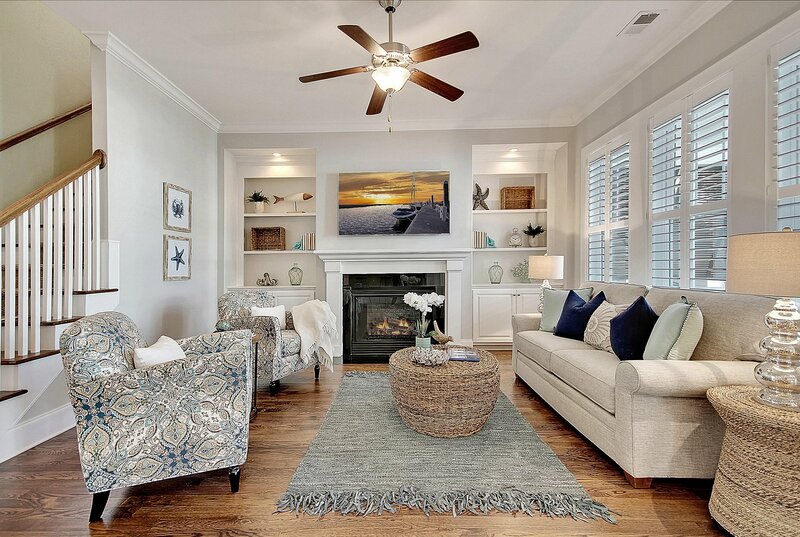 Immaculate Charleston style home on desirable Daniel Island, a short drive from downtown historic Charleston, great beaches and the airport. 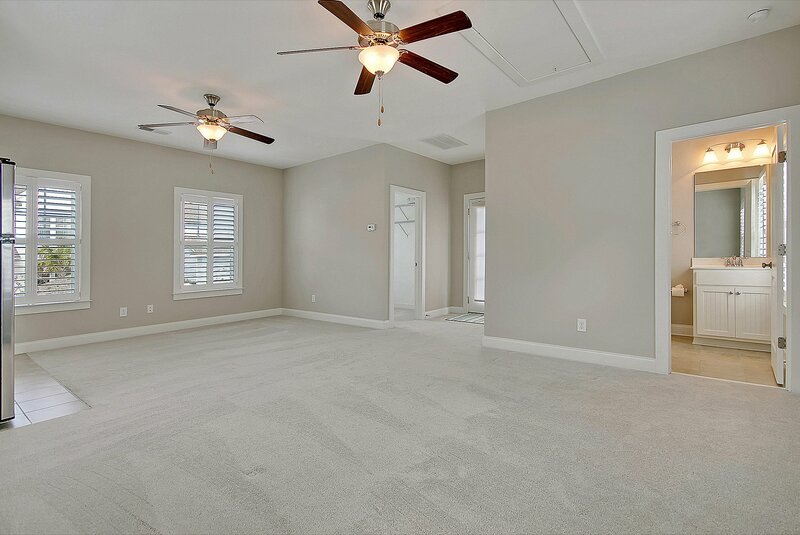 This like new home features 5 bedrooms 4 baths, with a lovely fenced yard, on a premium lot just steps away from Smythe Park. 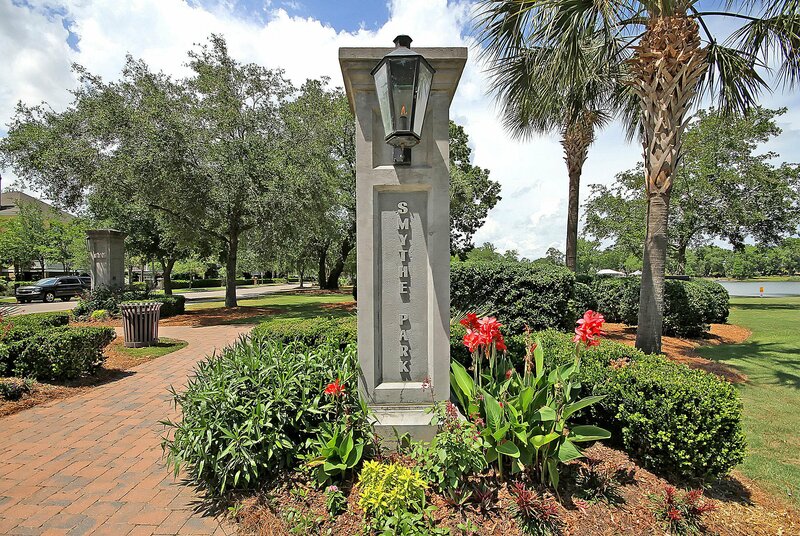 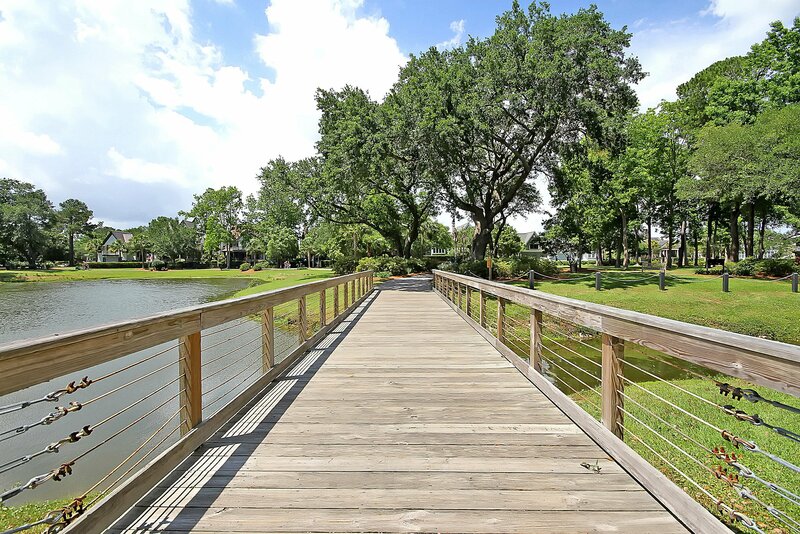 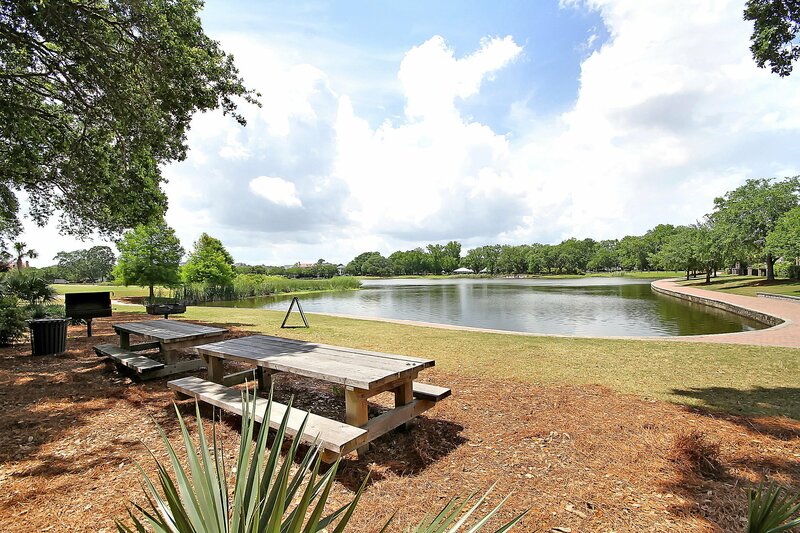 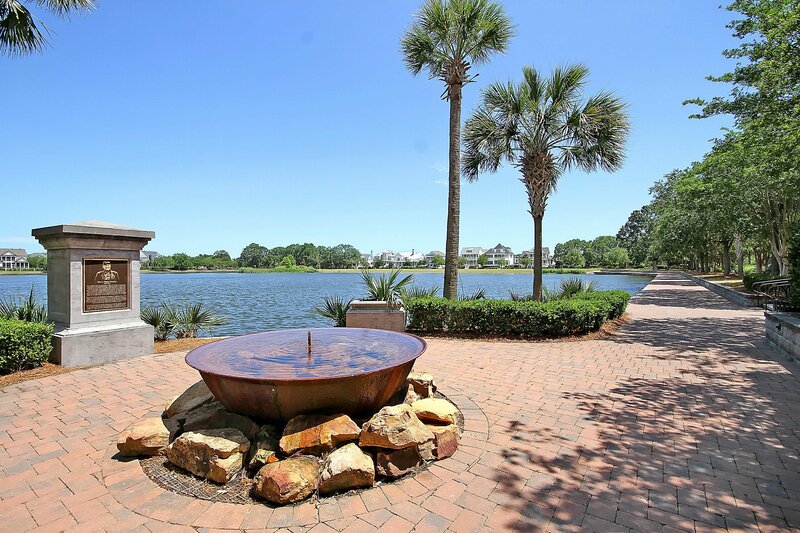 Smythe Park features an 11-acre lake with walking trails, picnic area and children's play area. 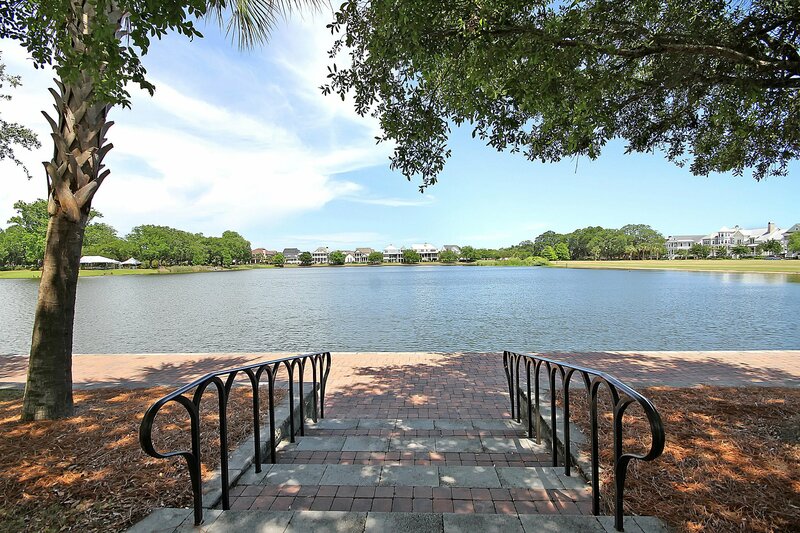 Watch the 4th of July fireworks and enjoy free concerts from your own back yard! 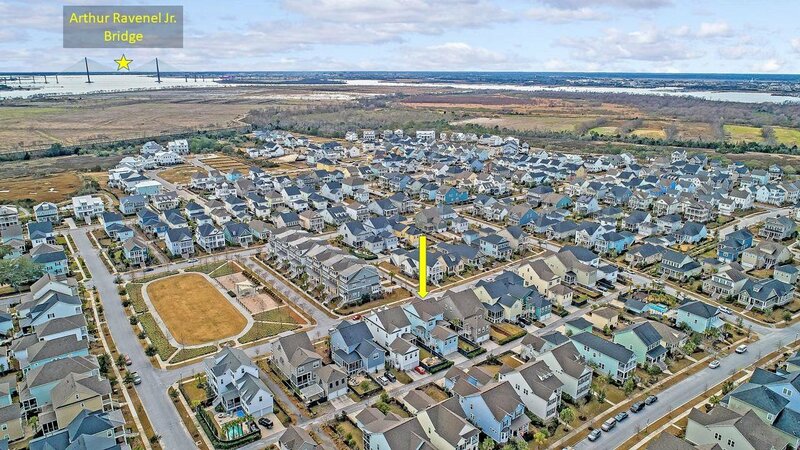 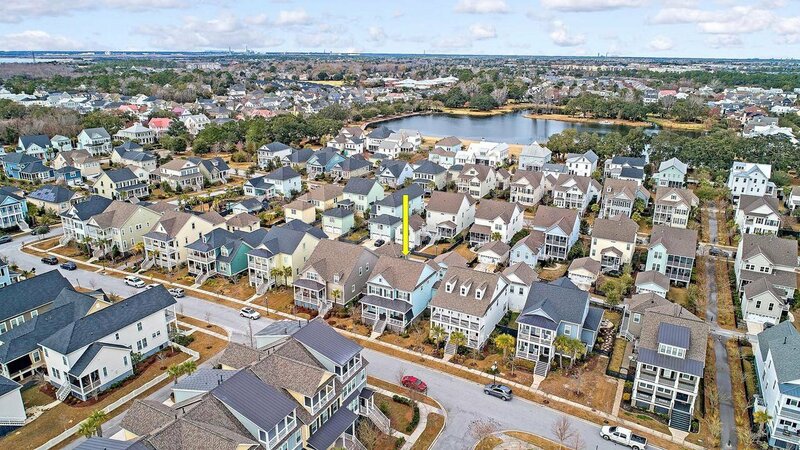 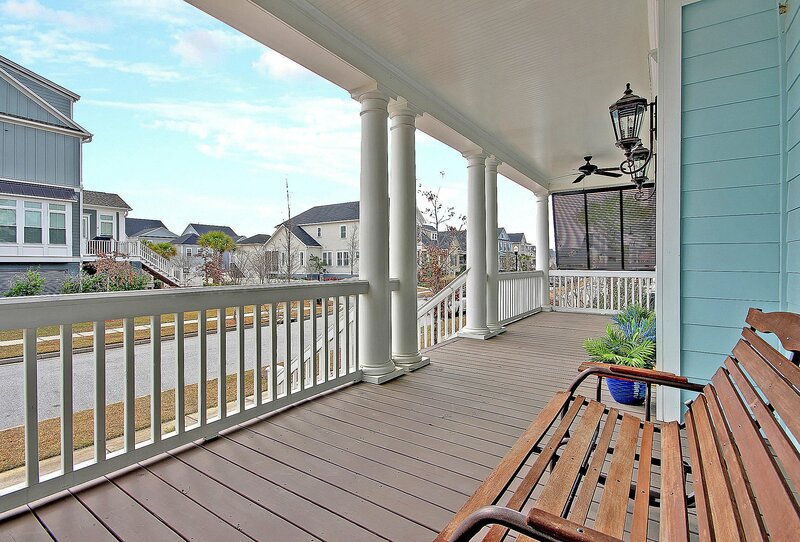 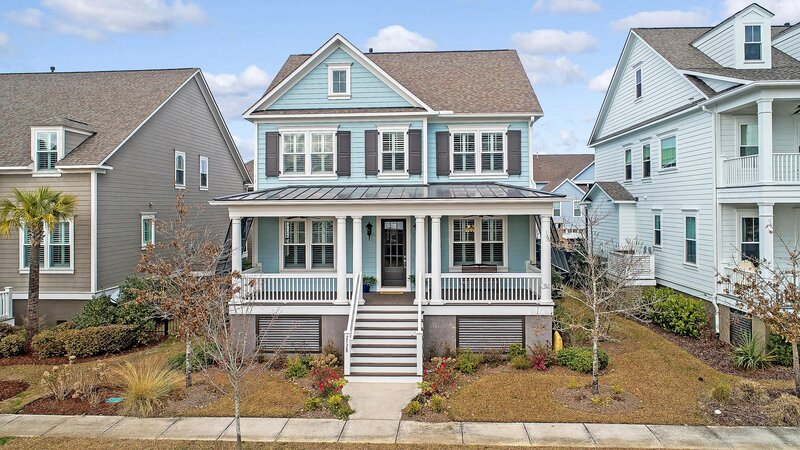 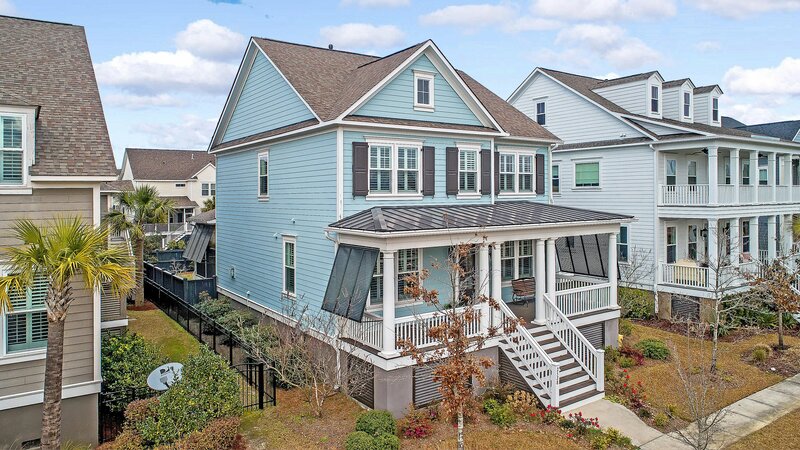 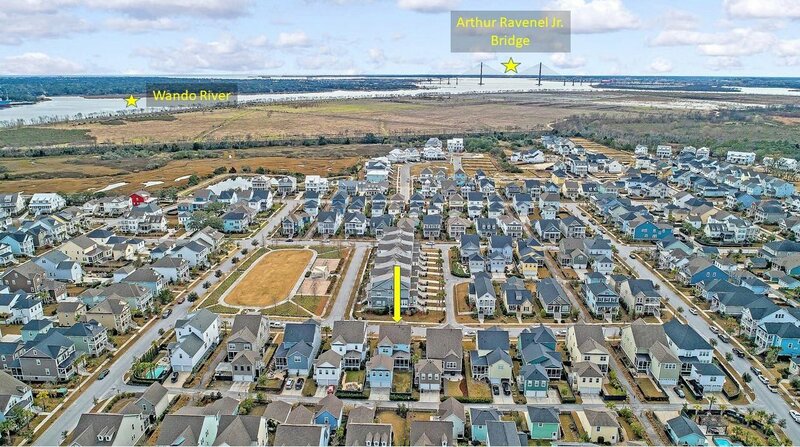 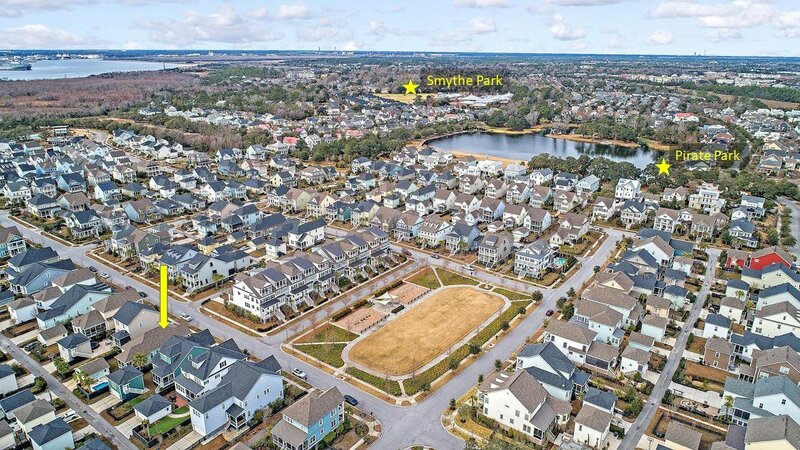 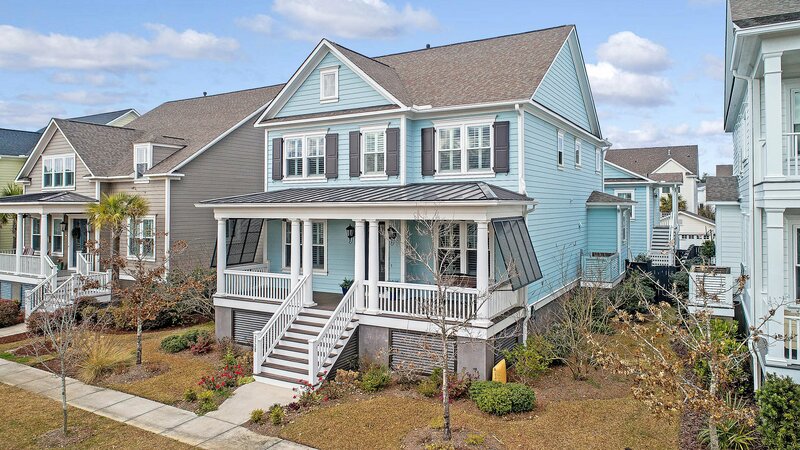 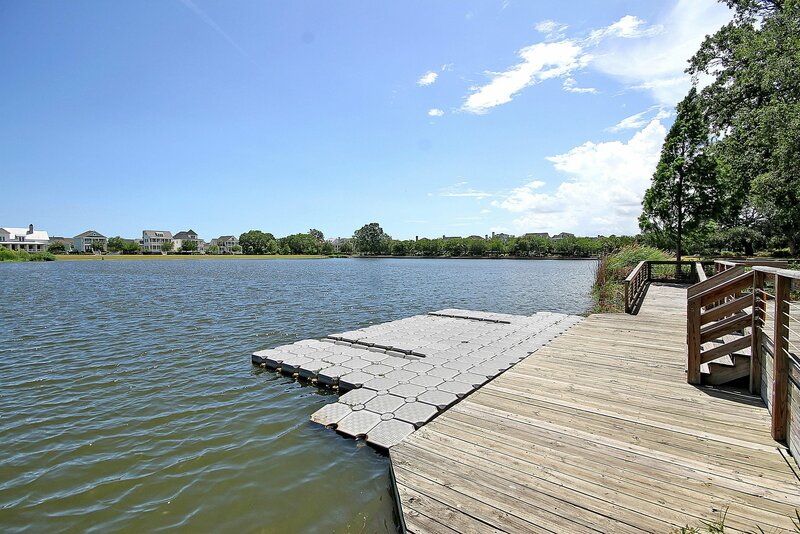 Home is also conveniently located a few blocks from the Daniel Island School and community library. 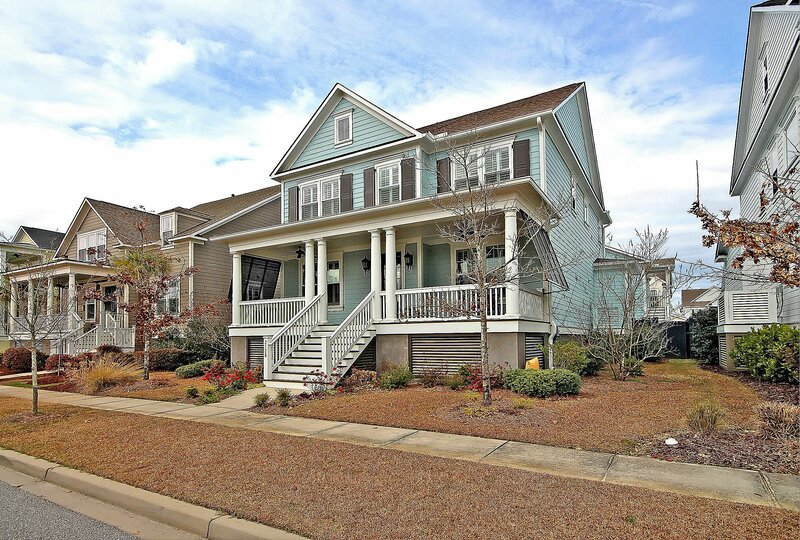 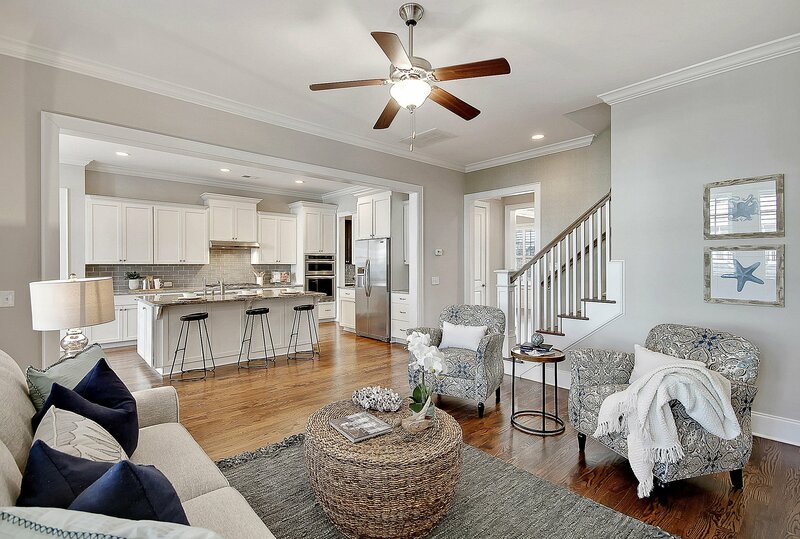 This home has the perfect layout for families of all ages and for entertaining friends. 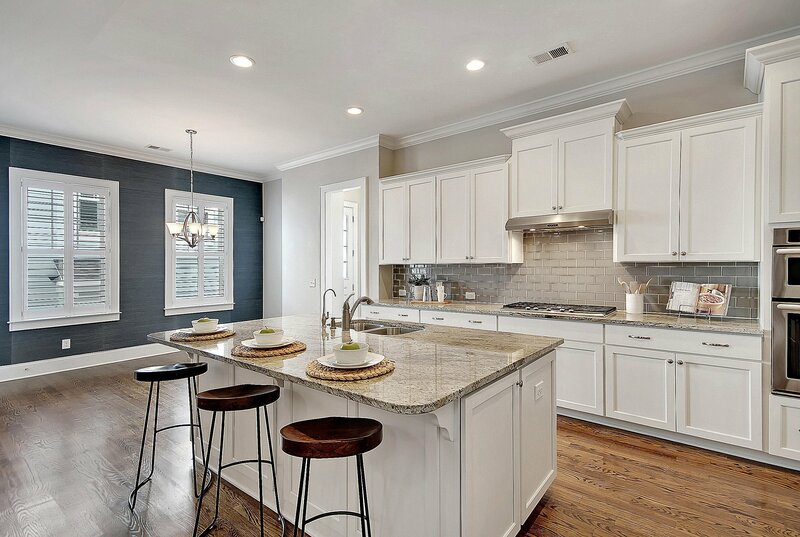 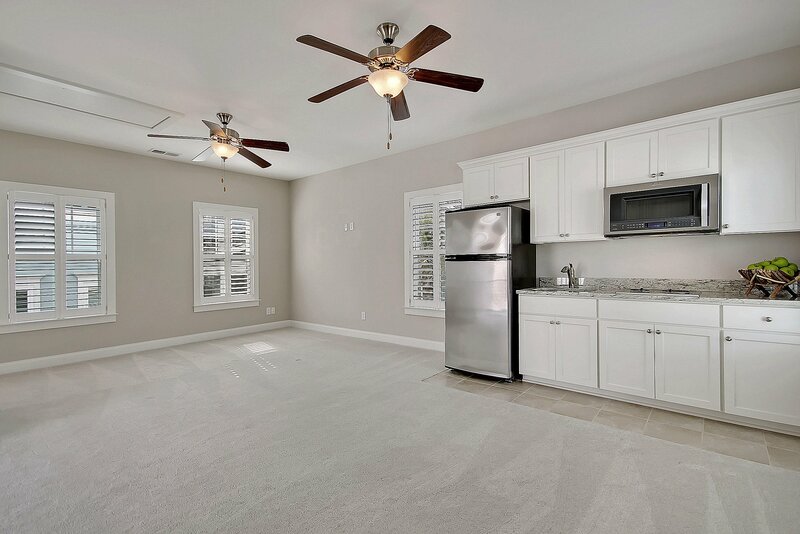 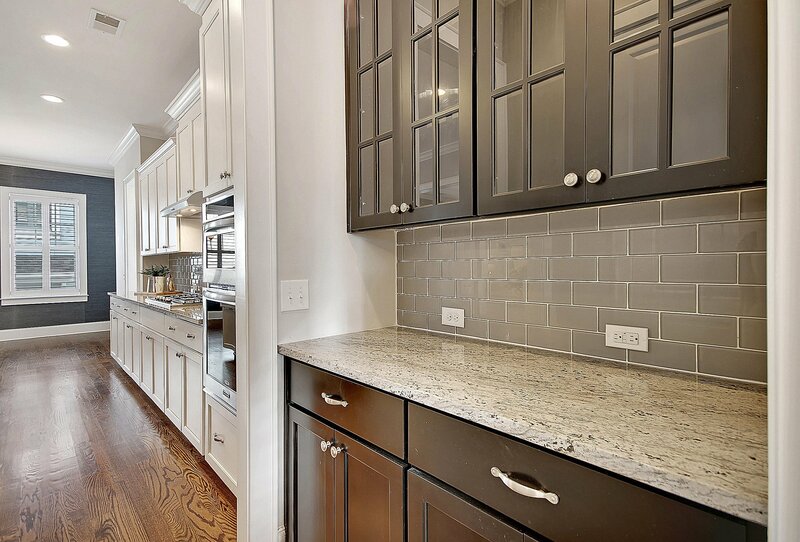 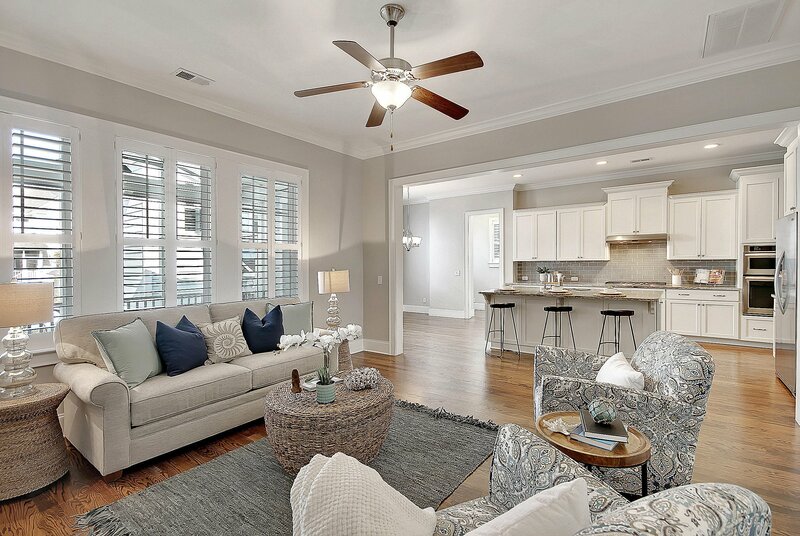 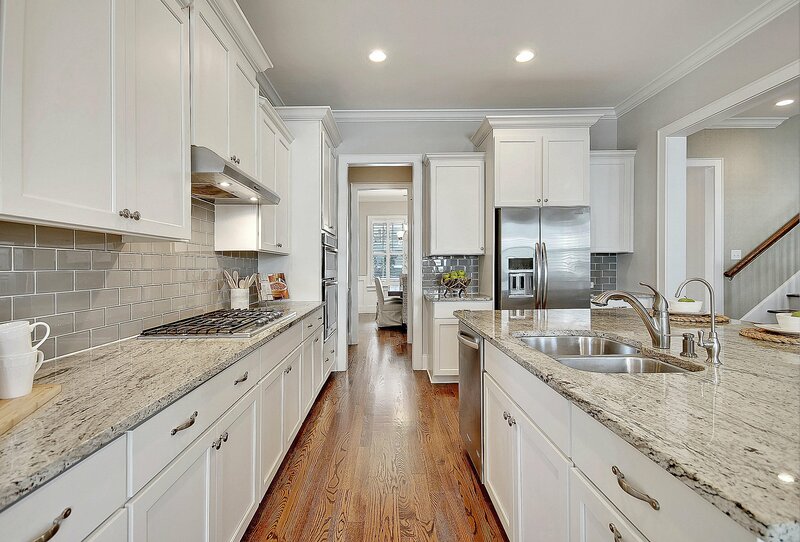 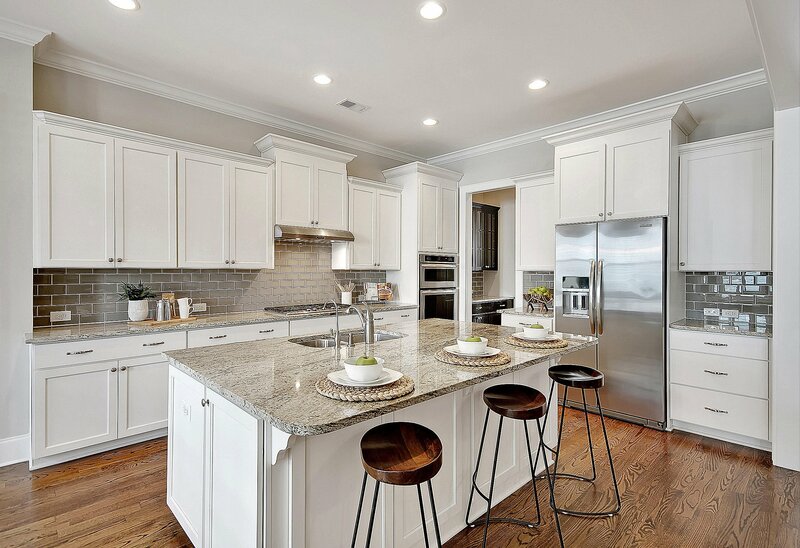 The open floor plan features a coastal kitchen with tons of storage, stainless appliances, and a Butler's pantry. 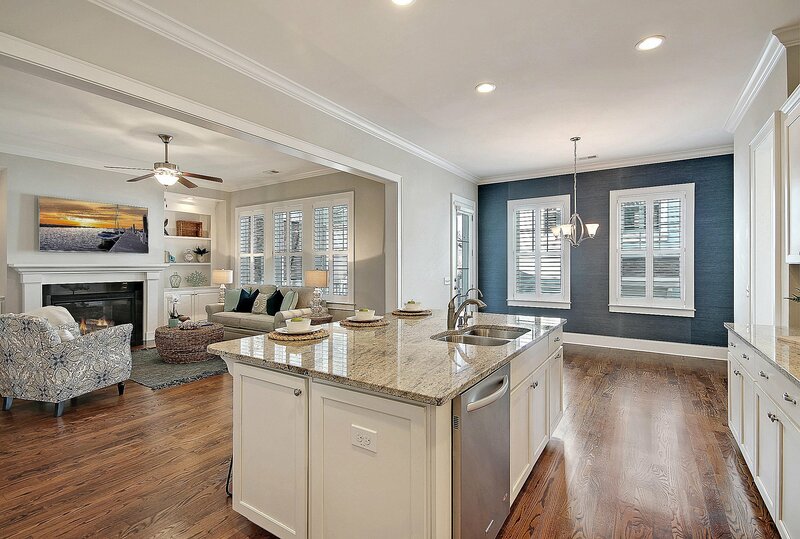 There is a breakfast area and a formal dining room. 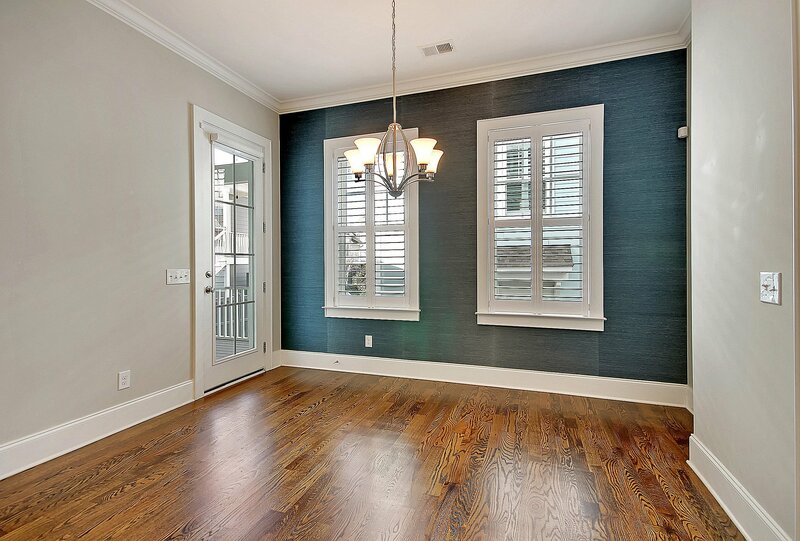 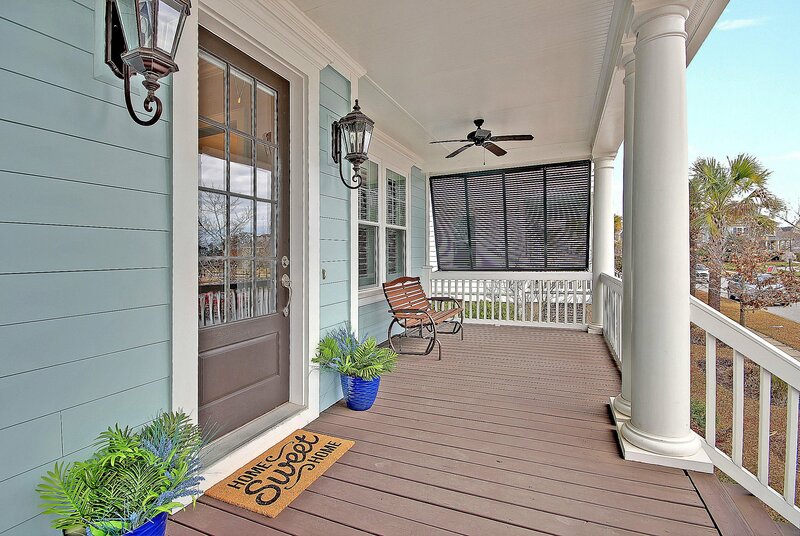 Home office with French doors and a full bath is conveniently located on the first floor. 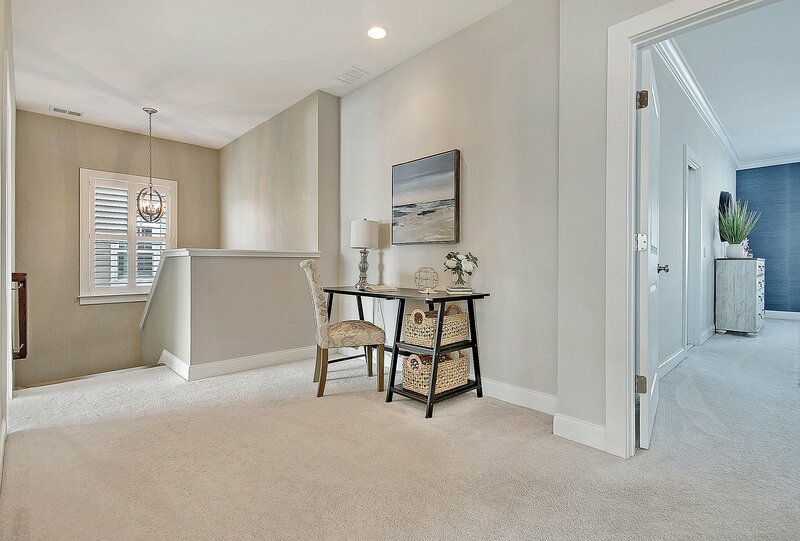 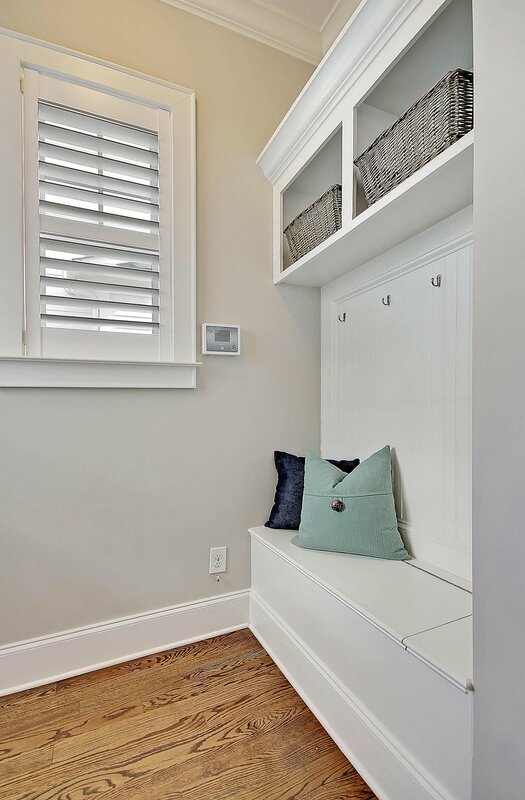 Upstairs you will find an open loft area great for additional work space, or study nook for the kids. 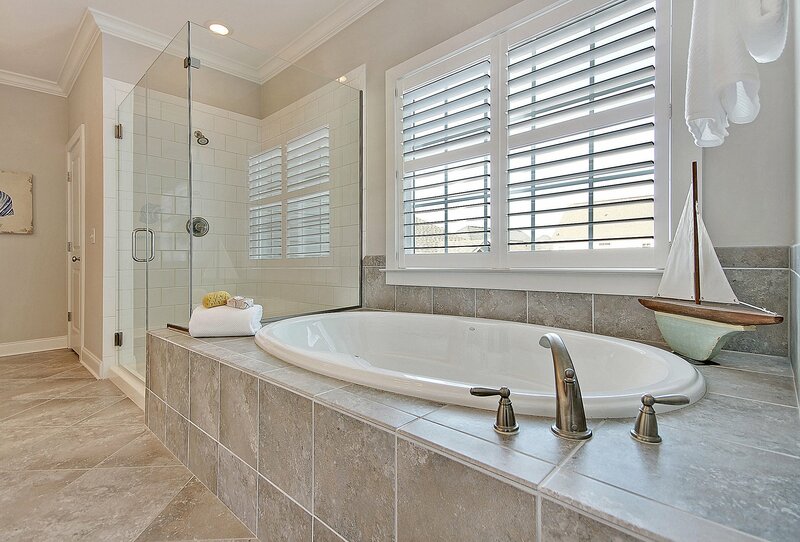 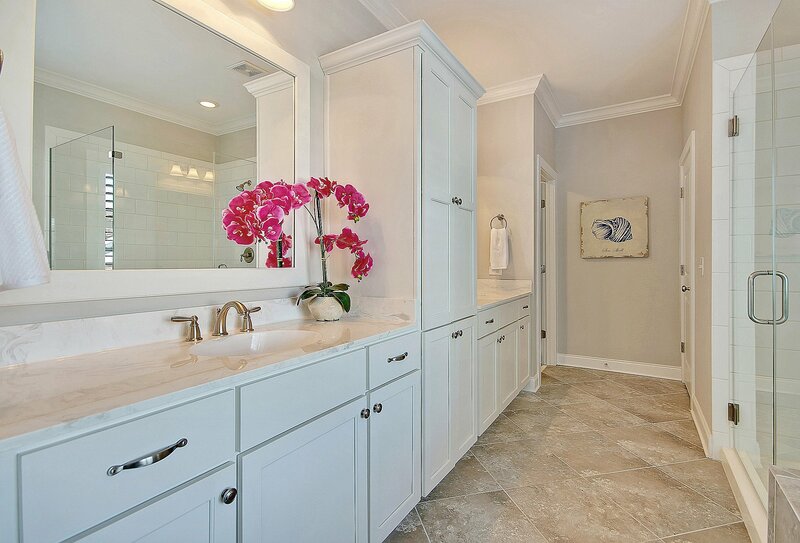 The large owner's retreat boasts a luxurious master bath with dual vanities, a jetted tub, a walk-in shower and his & hers walk-in closets. 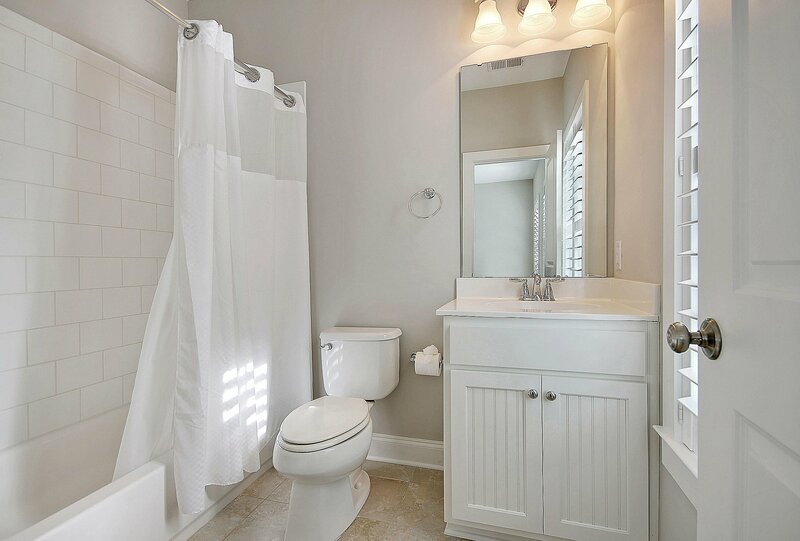 2 bedrooms with a Jack & Jill bathroom complete the second floor. 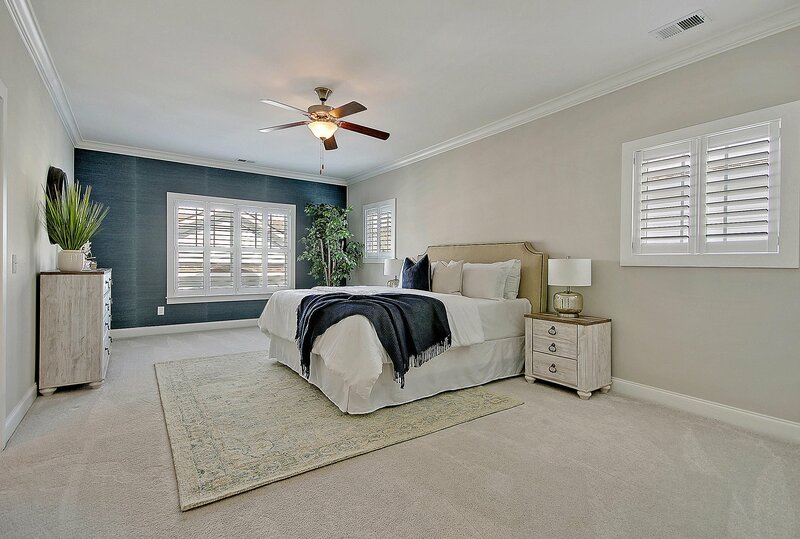 The 5th bedroom with full bath is in the FROG above the 2-car detached garage. 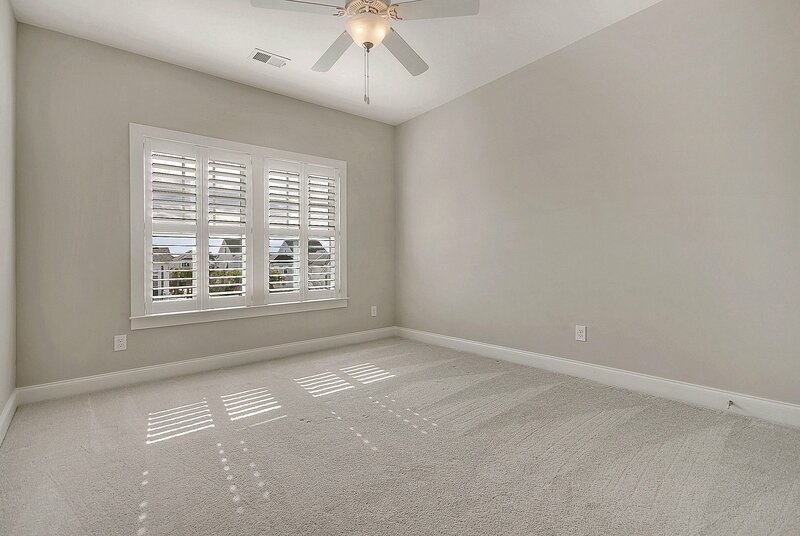 It has a separate entrance and a full kitchen making it an ideal space for a mother-in-law suite, guest suite, or potential rental income. 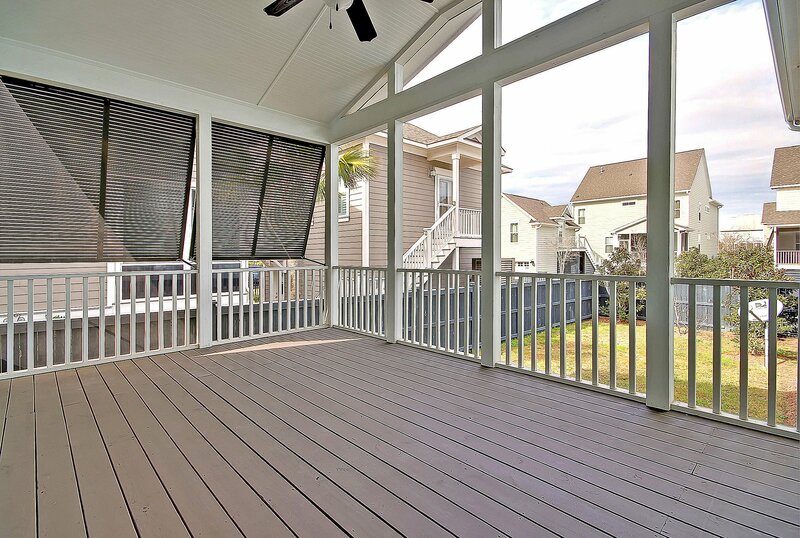 The screened in back porch complete with Bahama shutters overlooks the back yard and is perfect for year round enjoyment. 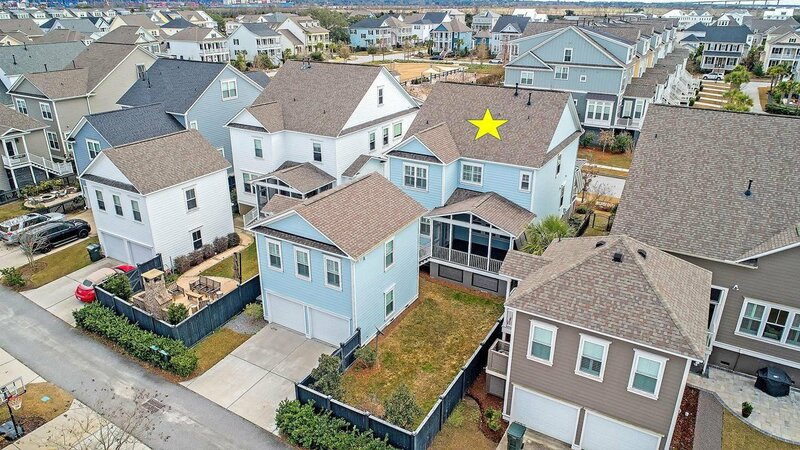 This home has too many upgrades and features to list and must be seen to fully appreciate it's location and layout!